Okay – so that title might be an exaggeration. You will always miss a short putt from time to time, even if you are a great putter. Players on tour miss five foot putts from time to time, even with great technique and hours of practice. However, you can expect to make almost all of your five footers by preparing yourself on the practice green and following some simple fundamentals. Read through the following five tips and get ready to make short putts more consistently than ever before. That’s right – the first tip for making more of your short putts is accepting the fact that you might miss one from time to time. Many golfers are paralyzed by fear when faced with a five foot putt for par because they think they ‘have’ to make it. In order to have your head in a good place to relax and freely hit the putt, you need to let go of any expectations and just hit the putt with a clear mind. It is a paradox that exists in many areas of golf. When you feel like you are trying hard to succeed, you will fail more often. If you are okay with whatever outcome should result, you will be successful far more often. If you miss a short putt, you will tap the next one in and move on with your round. Understanding that any single short putt will not make or break a round helps in freeing your mind from the prison of expectations. 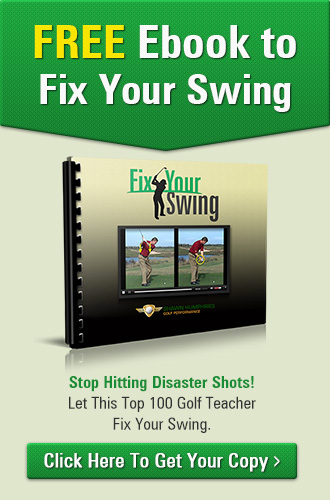 From a technical perspective, this point is the biggest mistake that amateur golfers make. Since the putt is only a few feet, you need very little in the way of backstroke to power the putt to the hole. As your backstroke gets longer, the putter is more likely to get off track and hit an off-line putt. A simple backstroke of just a few inches will get you enough momentum to strike the putt while minimizing the chance of getting off track. Some golfers try to jam all of their five foot putts into the hole by hitting them hard and banging them in off the back edge. The thought behind this method is that you can take the break out of the putt by hitting it hard, and also the ball will not be as affected by little bumps in the green. Don’t buy it. The problem with this approach is that your margin of error goes down significantly when you decide to hit your putts harder. If a putt is just lightly off line when you strike it, you are more likely to see a lip-out miss, and you could face another five foot putt coming back in the other direction. By hitting your putts with just enough speed to get over the front edge, you make the hole play bigger and maximize the change of a make. Even with a putt that is a little bit off of center, you can get the edge and have it fall in. Looking up at the hole to see if the putt is going to go in is a common cause of missed short putts. A great way to combat that habit is to draw something on your golf ball to focus on. When you replace your ball on the green and prepare to putt, have your special mark pointing skyward. As you address your ball, center your eyes on that mark on the ball, and don’t let your eyes stray until the ball is gone. You will keep your head down through the stroke, and the ball will start right on line time after time. Having a death grip on your putter is a good way to ruin your stroke. As a rule of thumb, you need to hold onto the putter just tight enough to keep control of it, and no tighter. A light grip pressure will allow the putter to swing more naturally during your stroke, and you will feel the weight of the putter head more as well. It is easy to let your grip get tight when you are feeling pressure on a certain shot, so pay close attention to it when you are nervous. In reality, it is very easy to make a five foot putt. When you stand on the putting green to practice, you probably make almost all of them. Unfortunately, pressure and nerves get in the way on the course. 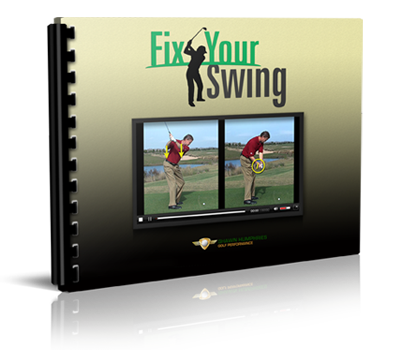 By using the five tips above, and the drill in the video, to refine your technique and approach, you can expect to start knocking in those testy putts and keep your scorecard on track.